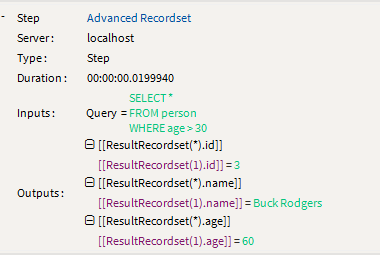 The Advanced Recordset tool can be used to write and execute Structured Query Language (SQL) against any combination of Warewolf Recordsets and map Warewolf data out of the new recordset created from the results. Warewolf Recordsets and Warewolf Scalars used in the SQL Statement are loaded. This means you can write simple or complex SQL to manipulate your data. Once executed, the result can be written to a new Warewolf Recordset which can then be used further in your workflow. Once your data has been assigned, you can delete, insert, select and update your data within the Advanced Recordset tool. In the example below, we will be using the Advanced Recordset tool to retrieve records from a recordset using a SELECT statement. 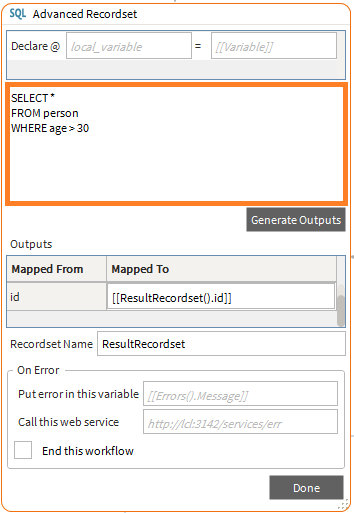 It will select a single record from a recordset using a static SQL statement and output the result to a new recordset. 1. Drag and drop an Assign from the toolbox on to the design surface and connect it to the Start node. 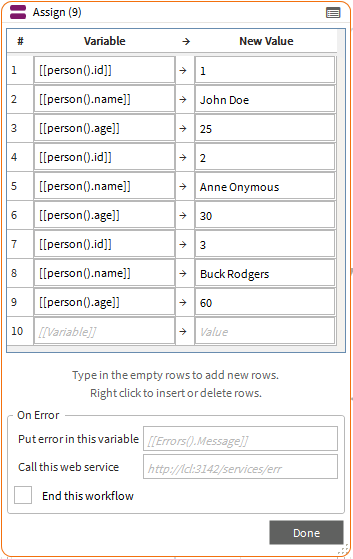 Then assign your data using recordset variables as seen in the example below. 2. Drag and drop an Advanced Recordset from the toolbox on to the design surface and connect it to the Assign Tool. 3. Add a SQL Statement into the large textbox, as seen above. 5. Data will be mapped from the Warewolf recordset and into a new recordset. If you do not name the new recordset, it will default to TableCopy. 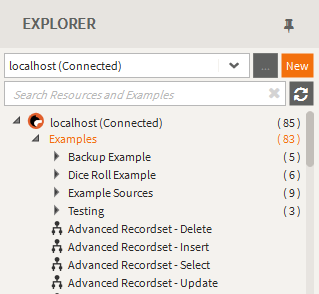 For more Recordset examples, using DELETE, INSERT, SELECT and UPDATE please see the Advanced Recordset Examples in the Warewolf Studio.